Belize is blessed with an abundance of ground and surface water….and over six months of rainy season. Our environment is still clean, so that our rain water is very close to pure. Water, like fuel, is a basic starting resource that drives costs all the way through a production chain. Unlike fuel, which we import 100% of…..we have and control an abundance of water resources….ground water, surface water and rain water. This should be used as part of our design of competitive advantage for living and doing business in Belize….once we protect our water resources, no one can take this source of competitive advantage away from us. The Belize Water Services (BWS) Is Belize’s MONOPOLY water and sewage utility that serves approximately 49,000 customers with a total average water demand of roughly 150 million US gallons per month. “The Belize Water Services Limited made a submission on 1 October 2009 to the Public Utilities Commission (PUC) for a Full Tariff Review Proceeding (FTRP) for the determination of Rates and Tariffs and a Business Plan to be approved for the Full Tariff Period (FTP), which runs from April 1, 2010 through March 31, 2015. The submission had requested for a 25% increase in tariffs. Besides the rate per gallon of water, they also charge security deposit, water connection fee and reconnection fee, sewer connection and reconnection fee, water infrastructure fee and sewer infrastructure fee. Using the bill calculator on the company website, it shows that for use of 4000 gallons per month, the price is $0.013 per gallon…..for 10,000 it is $0.016 per gallon…..and for 20,000 it is $0.018 per gallon. Thus the principle behind water pricing currently punishes commercial and business use of water resources. Neither the BWSL nor the PUC publishes the law under which they operate on their respective websites. Belizean households and businesses should be encouraged to tap the natural resources of Belize, especially water, in creative ways to enhance their competitive advantage. Limitations should only be based on safety and security issues…..not on enhancing the monopoly of BWSL over water and our use of it. 1. Every household should be encouraged, and to the extent possible, facilitated with financing water reservoirs to capture rain water for personal and business use. A 660-gallon tank costs around BZ$1000 to install. If it captures an average of 300 gallons per day for 180 days out of the year, the value would be around $702 per year….a payback period of under two years….a very profitable investment…..which over ten years would amount to $7,020, the cost of sending a child to University of Belize for a year. A business that invests in 3 tanks could save over $21,000 directly on water…..and much more on cost of purification, since the water is already very soft. This saving could allow for the hiring a middle level manager to help strengthen an organization….or finance an investment of an additional $150,000 in a new technology. 500 businesses that do this can hire 500 more production workers. 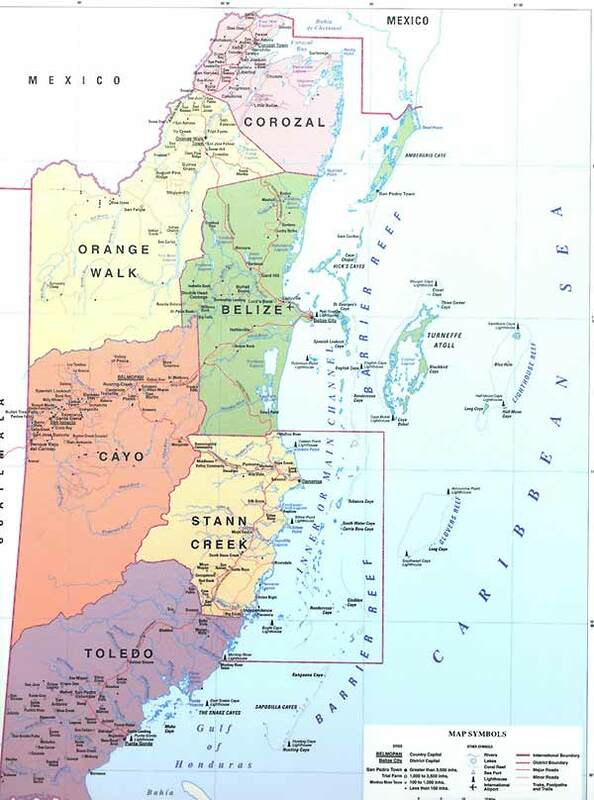 Belize needs to produce more and production should be encouraged and facilitated….not discouraged!! 2. With zoning of commercial areas, the drilling of water wells should be encouraged and facilitated….so that the value of properties to users is increased by a significant amount. Increasing the “Return on Asset” ratios of as many businesses as possible is vital to improving Belize’s competitive profile. 3. Approved private investments in rain water storage should be allowed to connect to and sell that water to the national grid at a price that allows a profit to be made by BWSL. This water is much more pure and requires much less treatment, with the potential for significant cost reduction. 4. Sewage treatment should be turned into a commercial value operation for production of gases and perhaps fertilizers, which could contribute to lowering service fees for households and businesses. 5. BWSL role should expand beyond pumping, treating, distributing and selling water resources for residential and business use….it should also be involved in monitoring and protection services for our water resources…with a potential for earning revenue from Government for these services….and also from large commercial operations that are affecting our water resources, such as shrimp, papaya, rice and mining operations. They could also be required to provide emergency water supply operations in times of national emergency, such as natural disasters. These water distribution assets should be fully utilized and subsidized by government, for supplying rural villages with potable water during the dry season…an investment which will also show gains in health and productivity profile of our rural population. 6. All public buildings, especially schools, should be built with a design that includes water capture and storage facilities. 7. The rate for water should be turned on its head….increased consumption should allow for lower rates, not higher rates as currently is the practice. After all, it costs a lot less to deliver a gallon of water to high-demand users (which are likely to be businesses in production that need to operate at the lowest cost possible for our economy to be more competitive). This should not translate into higher rates for lower-demand consumers. 8. With these recommendations, BWSL may reduce its workforce by 50-70, but the country would stand to gain over 1000 jobs….and substantial gains in productivity and competitiveness across the board…for individual households and businesses.